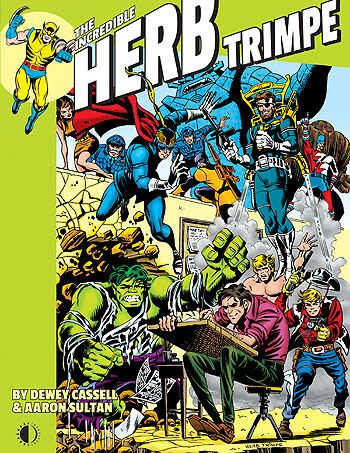 TwoMorrows Publishing is now shipping The Incredible Herb Trimpe, a new full-color hardcover which memorializes the late artist known for his groundbreaking work on the Incredible Hulk, and for drawing the first appearance of X-Men fan-favorite Wolverine. Starting with his humble beginnings running the first photostat machine at Marvel Comics in the 1960s, no other member of the Marvel Bullpen had such a varied and remarkable career as Herb Trimpe. He drew licensed characters based on toys such as G.I. Joe, Godzilla, and Transformers, which went on to become blockbuster movies. He drew runs of super-heroes like Iron Man, Defenders, Captain Britain, and even Marvel’s flagship character Spider-Man. But he’s best known for his definitive eight-year stint drawing the Incredible Hulk, and the eventual debut of Wolverine in its pages. "While Herb unexpectedly passed away before the book was released, he got to see the final proofs, and was as pleased with it as I am," recounts publisher John Morrow. 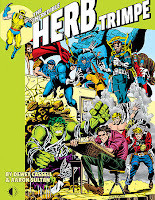 "I grew up on Herb's amazing comics work, so when authors Dewey Cassell and Aaron Sultan pitched the book idea to me, I didn't hesitate to green-light it. Those guys knocked themselves out on it on this labor of love, and made Herb—and me—extremely proud. Every comics and super-hero fan should know about Trimpe's pivotal role in Marvel Comics' history, as well as his little-known humanitarian efforts as a volunteer Chaplain at Ground Zero following the 911 attacks. It's a most fitting tribute to a truly remarkable man." This heavily-illustrated full-color hardcover is 160 pages long, and retails for $34.95. It is available now in both print and digital editions, through TwoMorrows' website (www.twomorrows.com), comic and bookstores through Diamond Comic/Book Distributors, on Amazon.com, and through the TwoMorrows Publishing app on the Apple and Android platforms.